If you’re like me, you’re watching a lot of our friends’ social media feeds that are chronicling their adventures in Denver for the Great American Beer Festival this week and wishing you were there. 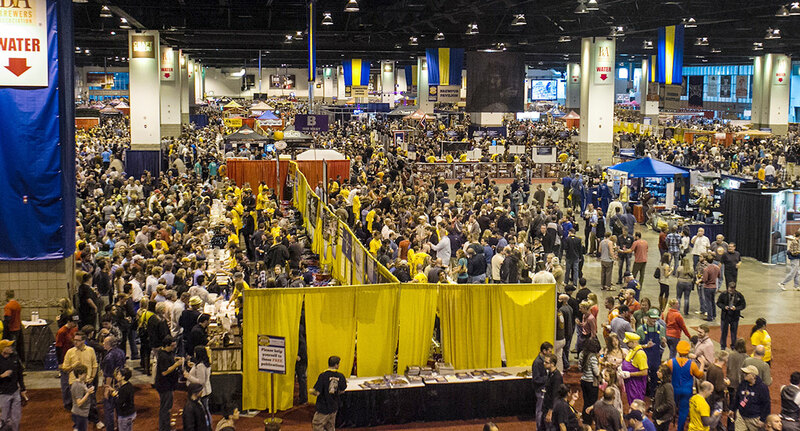 Last year, there were seven Florida breweries with booths on the floor of the Denver Convention Center. It seemed to me that there were more this year, so I went to the GABF brewery list and counted. The Sunshine State is represented by five more breweries this year, for a total of 11. Make us proud, gang, and bring back some medals! The first of four GABF sessions kicks off in just a few hours. The awards ceremony will start 12:30 Eastern Time on Saturday. The ceremony will be broadcast through livestream, via The Brewing Network.